If you’ve ever lived in Korea for an extended period of time, you know how often the look of a street changes. Businesses open and close shop faster than an ajooma rushing for a seat on a crowded subway. 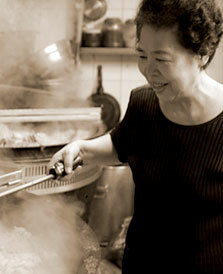 That’s why if a restaurant in Korea has stood the test of time, the food there is bound to be exceptional. 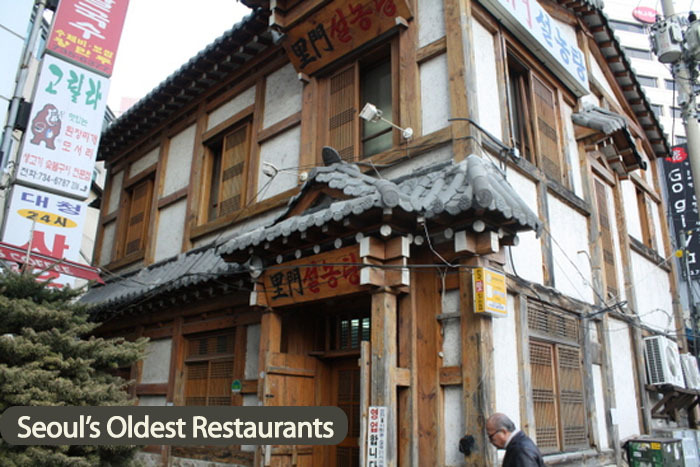 Here are 10 of Seoul’s oldest restaurants, which prove they are deserving to be considered to be some of the best restaurants in Korea. Note: These restaurants are all in Gangbuk (강북 – North of the Han River) as Gangnam (강남 – South of the Han River) wasn’t developed until later. Note: Restaurant has since moved to a newer building. 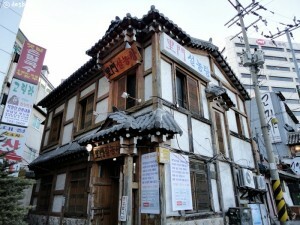 This historical and traditional Korean restaurant is so old that it opened only a few years after the end of the Joseon Dynasty. 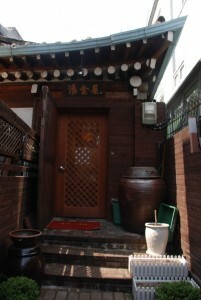 Their specialty is seolleongtang (설렁탕), a milky white soup made from ox broth. And as with most Seolleongtang restaurants in Korea, you’ll also want to check out their kimchi (seolleongtang restaurants are famous for some of the best kimchi in Korea). Although the building is fairly new, the seolleongtang recipe has more than 110 years of history — proof it’s one of the best seolleongtang restaurants in Seoul. See pics from Korean blogger 1 and Korean blogger 2. Language Tip: 설렁탕 (seolleongtang) = 설농탕 (seolnongtang). The only difference? The first is more modern and the latter is old school. As much as this Seoul restaurant is famous for its chutang (추탕) and chueotang (추어탕), it is also famous for its beautiful view. Located near the base of Bukhan Mountain (북한산), this famous Seoul restaurant of more than 80 years has been serving some of the best chueotang in Seoul with some of the best backdrops. The beautiful location does come at a cost, however, as subways aren’t a viable option (buses are available, see below). 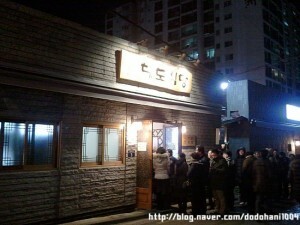 But if this famous Seoul restaurant has been open this long, the food’s got to be good! Situated right in the middle of the 1930’s version of Gangnam, this restaurant has served hipsters and politicians alike starting from 1932. Although the crowds have dispersed, many Seoul old timers still come back to this chueotang specialty restaurant to hang out in one of the few places that have been around as long as them (three generations of chueotang masters to be exact). You too can sit with life veterans and complain about politics while eating chueotang soup for 10,000 won a bowl. Second location is near 경복궁역 (Gyeongbokgung Station – Line 3). This Seoul hejangguk restaurant (해장국 – hangover soup) has been serving up hungover (and non-hungover) patrons for more than 70 years. 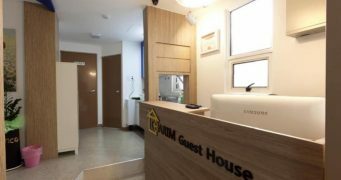 Head over to this famous Jongno restaurant if you’re looking for a cure to your pounding headache or your growling stomach. Luckily for you, it won’t matter what time of day (24 hours) you go to order the famous hejangguk (해장국) or the specialty hejangguk (특해장국). 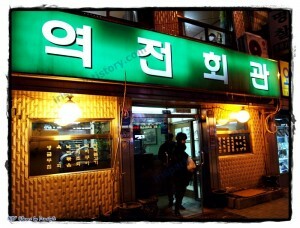 Tip: According to this blogger, order the boiled beef (수육 + 내포 – suyuk + naepo) for a free serving of soup. See pics from Korean blogger 1, Korean blogger 2, and Korean blogger 3. This popular lunch time spot for old timers and businessmen alike has been serving some of the best gomtang (곰탕) in the history of, well… gomtang. 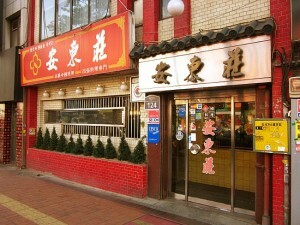 Its time-tested recipe of 70 years cements this as one of Seoul’s best gomtang restaurants. And with hanwoo-only beef slices, excellent kimchi, free refills of soup (국말/gungmul) and kimchi brine (김치국물/kimchi gungmul), you can fill yourself up for the decent price of 10,000 won a bowl. Tip 1: Don’t plan to eat dinner here as it is strictly a lunch-time restaurant. Closing time is 4:30 PM. Tip 2: The branch in Gangnam is not actually a branch. 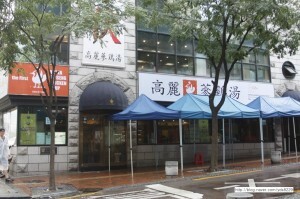 Rumor has it, it was opened by a distant relative with some bad blood with the original in Myeongdong. 국물 주세요 (gungmul juseyo) – Please give me some more soup. 김치국물 주세요 (kimchi gungmul juseyo) – Please give me some kimchi brine. Some lucky ol’ chap was probably able to smuggle in a famous Pyeongyang naengmyun (평양냉면) recipe from North Korea before the Korean War. Good thing because this famous naengmyun restaurant in Seoul is still around for even President Obama to taste close to 70 years of historical naengmyun. Get some of the most famous naengmyun and famous bulgogi (불고기) in Seoul, and you have all the makings of a typical Korean family BBQ outing from 1946! Tip 1: Closed on Mondays. Asian Fusion has been around longer than you know. This Korean-Chinese restaurant has been serving Korean-Chinese fusion since 1948. Korean-Chinese food connoisseurs will tell you that the mark of a good Korean-Chinese restaurant is the quality of the more expensive dishes like sweet and sour pork (탕수육/tangsuyuk) or palboche (팔보체), and this restaurant wouldn’t have stayed open this long if it they weren’t good at it. 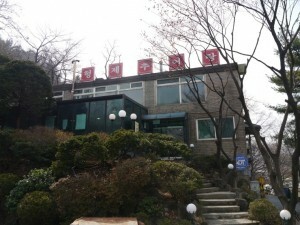 But you can also get their most famous dish, oyster jjamppong (굴짬뽕), for a very palatable price of 8,000 won. If chicken soup for the soul is what you’re looking for, this samgyetang restaurant in Seoul has been feeding hungry souls since 1960. Much like most samgyetang restaurants, you won’t find much banchan other than kimchi, but you won’t care once you know how they prepare some of the best samgyetang in Seoul. They buy chickens that were raised for approximately 49 days and add gingseng, jujube, garlic and sticky rice along with several traditional Korean medicinal herbs. Koryeo Samgyetang has exactly what you need: Korean chicken soup for the body and soul. Restaurants in Seoul have a hard enough time staying in business for an extended period of time with mainstream recipes. But this special bulgogi restaurant in Seoul has been open since 1962, and they did it with a bulgogi variation, 바싹불고기 (crunchy bulgogi). 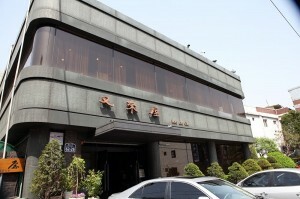 Although one of the most famous bulgogi restaurants in Seoul is located in a building not too old, Korean bloggers rave of this bulgogi restaurant’s 50 year old crunchy bulgogi recipe. Wrap it in the sesame leaves (깻잎) for full effect. Finding a Korean barbecue restaurant in Seoul is easy. 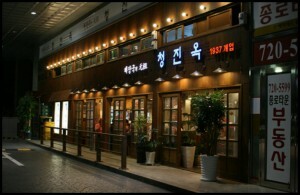 (Check out Seoulistic’s 10 of Seoul’s Most Famous and Popular Galbi Restaurants). Finding a good Korean barbeque restaurant that hasn’t been closed for more than 50 years is really hard. At least it’s easy to figure out their specialty is hanwoo sirloin (한우 등심/hanwoo deungsim), the only thing you can order here. Along with some of the best hanwoo barbecue in Korea, their trademark cast iron skillet and kimchi radish fried rice (깍두기 볶음밥) have been bringing customers to the door since 1964. Have you ever been to one of these restaurants? Share your experience with us in the comments below! I simply couldn’t depart your site prior to suggesting that I actually enjoyed the standard info a person provide for your guests? Is this the official list? In Taejo Kamjatang, the oldest Kamjatang place in Korea, they have a newspaper clip of the 28 oldest restaurants in Seoul. Your top 8 are on there, but your #8 is around #25 and #9-10 are newer than the top 28. Maybe I can email you this list, you can explore them all, and then you can do a part 2 of this list? If you like Kamjatang, Taejo Kamjatang off Sungshin Womens University on line 4 is simply the best (and cheapest) kamjatang in Korea. It was founded in 1958. Does Keith actually make any money from this website? Oh wow. This is exactly what I’m looking for! 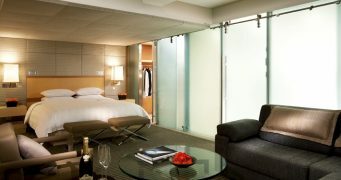 I think I’m looking at my itinerary for my next visit to Korea. It might be too much to visit each one though, but I’m already eyeing five (or all, really) restaurants to try. Another wonderful list. Thank you! I as well think thus, perfectly indited post! Back now in london….. miserable food ( injected and frozen…who knows), I am missing my daily breakfast which is rice porridge and oh all those soups with genuine stock from tender beef…with kimchi, octopus,… that is what I call proper breakfast! I hope next year, I can travel back to Korea!